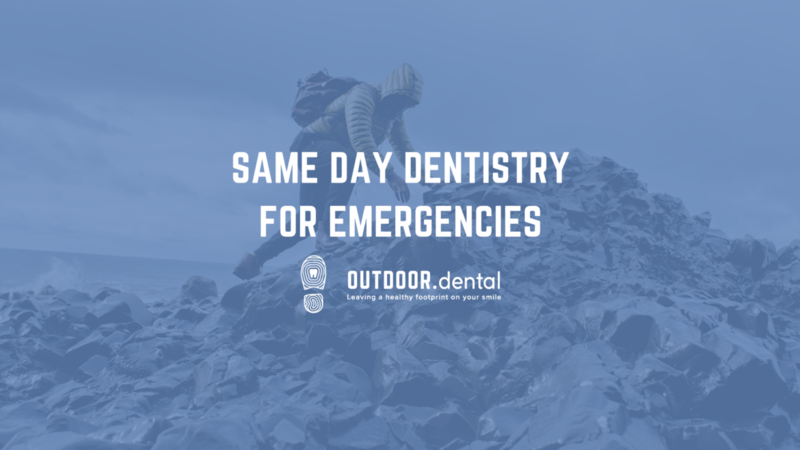 Same-Day Dentistry: Why is it ideal for Dental Emergencies? Every outdoorsman knows that pain should be taken for granted. When you experience pain in the leg, you have it checked out immediately to make sure there’s no serious problem. And you’re aware that the slightest hesitation can make all the difference for your recovery. Do you do the same with your dental hygiene? If you have a tooth that’s bothering you, you should have it checked by an emergency dentist in Calgary as soon as possible. If you’re still thinking about ignoring it, let me explain why same-day dentistry and same-day solutions that are offered by dentists like Dr. Jay Patel in Seton, Calgary is very important. What Could Happen if a Symptom Isn’t Immediately Checked Out? While it’s entirely possible that the pain in your mouth is merely a passing occurrence, it’s just as possible that it’s a symptom of something more serious. And this latter possibility is simply too important to ignore. In fact, a simple toothache could be a symptom of a damaged filling, a fractured tooth, or, most commonly, tooth decay. Even something as severe as gum disease can make itself known through a toothache. Pain of any kind should never be ignored because it’s more than an annoyance. It’s your body’s way of communicating to you that something is wrong and needs your attention. Even if the pain ends up being nothing, the peace of mind is well worth the extra effort to make an appointment. Whether you have a fractured or cracked tooth, covering the tooth with a dental crown will protect the tooth structure from further damage. Chances are, if you can come in for an emergency appointment, we can give your tooth a second chance within the same hour you walk in the door. Thanks to CEREC technology, we are able to mill crowns in less than 15 minutes! This is the most affordable route for you to get a crown too. While the concept of a crown used to cover a damaged tooth or restore and an implant is simple, the variables involved in the process will create a unique experience for each patient. No two patients are exactly alike, therefore costs will differ case by case. The preparation required amount of crowns needed vary from one patient to the next. How Do You Know if You Should Contact an Emergency Dentist? If you’re not sure whether you should book an appointment for same-day dentistry, it’s best to err on the side of caution. Once you notice that your mouth is experiencing swelling, sensitivity to food temperatures, or pain when biting, you should definitely contact an emergency dentist. Anyone of these symptoms could be a sign of something more dangerous. If you’re still hesitant to make an appointment, pay attention to whether the pain increases or decreases with time. If it’s the former, you know that an appointment can no longer be avoided. Out of fear or uncertainty, you may feel compelled to hold off getting your symptoms checked out. While perfectly understandable, this can come back to bite you in the end. If certain dental conditions aren’t treated immediately, they can fester and become not only harder to cure, but more painful and expensive. For this reason, you can never book an appointment too early, for the treatment is always going to be easier than if you had waited. Decay, for instance, can spread through the mouth at a rapid pace. This means that your toothache will become even more painful and all-encompassing. Some pain can even spread to other parts of the body, such as the jaw. If not treated, bacteria can overrun the tooth and cause damage to the enamel. Structural damage to a tooth, such as cavities, can cause a tooth abscess if gone untreated. This means – you guessed it – more pain and a more arduous treatment process. If you can come in right away, we may even fix the problem in one visit thanks to CEREC One visit dental crowns. You might be tired of hearing it, but it’s still true. That couldn’t be more relevant to your dental hygiene, which requires constant attention and speedy repair. Even the most seemingly harmless symptom could be a herald of a much more time-consuming, painful disorder. It’s best to cut conditions like tooth decay and bacteria off at the pass before they can fester. If you’re feeling tooth pain, swelling, or notice that your teeth are particularly sensitive, OUTDOOR.dental takes your symptoms seriously. Whether it’s same day crowns or fillings, we understand that you need attention right away, so we make sure that we’re always available to be your local emergency dentists in Calgary. Being in pain can be rough, but we make it our purpose in life to alleviate that pain and prevent it from occurring in the future. All it takes is a call from you. Do you think you might be experiencing a dental emergency? If so, make an appointment with OUTDOOR.dental online or give us a call at 587-393-3704. We’ll do everything we can to stop your pain from getting worse.